I saw the lady today and it was the worst possible news - a brain tumour (we still don't know if it is malignant) had caused the blockage and now her doctors are concerned about the sight in her other eye as well. The only silver lining to this is that by coming for an eye test, the tumour was caught early. 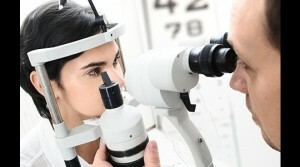 If she hadn't come for an eye test, chances are it would not have been picked up until too late. But, as we keep on telling people, not all eye tests are the same. It is recommended that all eye tests should last 30 minutes at least - to provide the optometrist plenty of time with the patient to have a thorough check of the eyes. We've heard stories from customer about 15 minute and 10 minute eye tests at other establishments. Not in our book! We persist with 30 minute tests to give our customers the service they deserve. They take their eye health seriously and so do we.